From the very outset of the serving of these subpoenas over two years ago we have striven to resist completely the efforts by the PSNI, the British Home Office and the US Department of Justice to obtain any and all interviews from the Belfast Project archive at Boston College. These were academic and journalistic documents of considerable historical importance to students of Irish politics and to conflict researchers to which no-one, outside of the interviewees themselves and ultimately Boston College had any right of ownership. The interviews were given in strict confidence and on the understanding that they would eventually help everyone to understand why and how Ireland went through such a violent and traumatic period. That they should be used to compensate for the investigatory incompetence and uncaring attitude of a police force stretching back over forty years or be used to further the reactionary politics of intransigent elements in Northern Ireland politics is not just unacceptable but in our view was a flagrant abuse of the legal process. And in the context of the Obama White House’s current intolerable assault on journalistic and media rights in the United States, the co-operation of the US Justice Department in this disgraceful exercise deserved more condemnation and opposition from American academe than it ever got. Indeed the silence from that quarter during the last two years was almost deafening. Nonetheless we do welcome today’s decision by the First Circuit to reduce from eight-five to eleven the number of interviews that qualify for handover under the terms of the subpoenas served on Boston College, a mere thirteen per cent of what the District Court in Boston had initially ordered to be surrendered. The court instead said that only interviews that deal directly with the disappearance of Jean McConville can be handed over as opposed to the indiscriminate consignment of the entire contents of interviews with eight of our interviewees. We see this judgement as at least a partial indictment of the whole process. Doubtless elements in the security apparatus in Northern Ireland and their allies in Britain were looking forward to a show trial in which almost the entire panoply of IRA violence during the Troubles would be the subject of proceedings in a Belfast court room. Now, that is not going to happen and to be sure there will be disappointment in these circles. The 1st U.S. Circuit Court of Appeals has handed Boston College a partial victory in its battle against a subpoena for interviews conducted by “Belfast Project” researchers. The subpoena was issued pursuant to Article 5 of “US-UK MLAT” — the Treaty Between the Government of the United States and the Government of the Kingdom of Great Britain and Northern Ireland on Mutual Legal Assistance on Criminal Matters. U.S. District Court Judge William G. Young ordered that 85 interviews in BC’s possession be turned over for eventual transfer to the UK authorities. The federal government contended that courts do not have discretion under the US-UK MLAT to review for relevance materials subject to a subpoena. “It states that only the Attorney General, not the courts, has discretion to decline, delay or narrow a request under the treaty,” Judge Juan R. Torruella noted for the 1st Circuit panel. “If we were to accede to the government’s position and hold that courts must always enforce a commissioner’s subpoenas, we would be (1) allowing the executive branch to virtually exercise judicial powers by issuing subpoenas that are automatically enforced by the courts; and (2) impairing our powers by acceding to act as rubber stamps for commissioners appointed pursuant to the treaty,” the 1st Circuit reasoned. “Such subservience is constitutionally prohibited and, ergo, we must forcefully conclude that preserving the judicial power to supervise the enforcement of subpoenas in the context of the present case, guarantees the preservation of a balance of powers,” Torruella announced. The court went on to find some of the interviews to be irrelevant. “After carefully reviewing each of the materials in question, we find that although a number of interviewees provide information relevant to the subject matter of the subpoena and that the district court acted within its discretion in ordering their production, it abused its discretion in ordering the production of a significant number of interviews that only contain information that is in fact irrelevant to the subject matter of the subpoena,” Torruella explained. The 29-page decision is United States v. Boston College, Lawyers Weekly No. 01-135-13. BCSN Comment: Who Guards the Guards? 4 former RUC Special Branch members and a former RUC intelligence officer chosen by PSNI Chief Constable to prepare sensitive Shoot-to-Kill Documents; review team members served with witnesses, with one team member having served with up to 52 potential inquest witnesses. Ministry of Defence resists family of victims’ requests for military advisers who sat in on police interviews to be called as witnesses. Previously, the Public Records Office of Northern Ireland, acting on the advice of the PSNI’s Historical Enquries Team, refused to allow access to public records asked for in a Freedom of Information request made on behalf of families of men shot by loyalists. This is the same PSNI who are abusing the MLAT procedure to demand access to the Boston College Oral History archives. Why is the US Department of Justice and Obama Administration facilitating this? A former police officer selected to trawl through top-secret information on some of Northern Ireland’s most controversial killings served with 52 potential inquest witnesses, it has been revealed in court. He is part of a team made up of four former RUC Special Branch members and an ex-RUC intelligence officer chosen by the chief constable to prepare sensitive documents relating to six alleged shoot-to-kill incidents involving the security forces more than 30 years ago. He has been charged with reading and redacting information from classified material due to be disclosed to the families of those shot dead. A preliminary hearing at Belfast’s Old Town Hall also heard that two other members of the research team served with 10 potential witnesses; another worked alongside 21 potential witnesses; and a fifth knew one potential witness. Barrister Karen Quinlivan QC, who is representing relatives of those killed, described it as “breathtaking” that police were investigating police. “They served alongside each other for years and presumably had confidence in their abilities. This is not only institutional bias but actual bias,” she said. Ms Quinlivan said ongoing problems with disclosure meant the process had been “held up” and “dragged out” beyond expectation. She also claimed the families had very little confidence in the disclosure process. “We remain extremely concerned about the personalities involved in this case,” added the lawyer. Barrister Fiona Doherty, who is also acting for some of the next of kin, raised concerns around delays with disclosure. “This is a serious issue. It is an issue that is going to have to be dealt with sooner rather than later,” she said. The case involves six people shot dead by the security forces during the 1980s amid claims there was a deliberate intention to kill them. IRA men Sean Burns, Eugene Toman and Gervaise McKerr were killed near Lurgan, Co Armagh, in November 1982. Catholic teenager Michael Tighe was shot dead by police at a hay shed near Craigavon, Co Armagh, in November 1982 and suspected INLA men Roddy Carroll and Seamus Grew were fatally wounded near Armagh in December of the same year. Tony McGleenan QC, barrister for the PSNI, described the scale of the disclosure as vast. He said up to 82 boxes of material containing tens of thousands of pages had to be considered by counsel, the chief constable and the minister for justice before being handed to the coroner for consideration of relevance. The next preliminary hearing is due to take place in July. An investigation into whether police set out to kill was carried out in the years after the incidents by former Greater Manchester Police deputy chief constable John Stalker and Sir Colin Sampson of West Yorkshire Police. The Stalker and Sampson reports were long classified top secret but the Police Service of Northern Ireland (PSNI) finally handed over edited versions to the coroner in 2010 after a lengthy legal battle. The reports were then passed to lawyers for the families. Military advisers who sat in on police interviews with SAS soldiers involved in the ambush and killing of two suspected IRA men almost 30 years ago could be called to give evidence at their inquests. Daniel Doherty, 23, and William Fleming, 19, were shot dead in the grounds of the Gransha Hospital in Londonderry in December 1984. It was alleged that the pair, who were both from the city, were planning to carry out an attack on an off-duty Ulster Defence Regiment soldier when the SAS opened fire. An original inquest was held two years after the shootings but in 2010 Northern Ireland’s Attorney General John Larkin ordered another hearing after finding that police documents had been withheld from the coroner at the time. At a preliminary hearing in Belfast’s Old Town Hall, lawyers representing the families of the two men requested the identification of Army legal advisers or senior soldiers who routinely accompanied the rank and file during police interviews. “The soldier or soldiers who attended interviews should be identified – given a cipher – and should make a statement on their role,” said barrister Karen Quinlivan QC. She said there were concerns about an alleged military policy which directed soldiers to only provide the minimum amount of information required for the police investigation. Ms Quinlivan said it was also important to know whether the advisers involved in this case had attended police interviews relating to other lethal force deaths. “There are broad issues. Soldiers were engaged in lethal force and the state – Army legal services and the RUC (Royal Ulster Constabulary) – operated to ensure that they were not held accountable,” she said. There were also requests for military intelligence files on the IRA suspects to be handed over to their families’ legal teams. “We know that there was intelligence in advance, it is obviously relevant to the circumstances. The question is whether it has been used as a shoot-to-kill policy,” said Ms Quinlivan. Peter Coll, acting for the Ministry of Defence, claimed the families’ lawyers were embarking on a “fishing expedition” and questioned the relevance of advisers’ roles in other lethal force incidents. “This is putting the cart before the horse. Particularly, we do not know if military advisers were involved,” he said. Fiona Doherty, barrister for the Coroners Service, said anything which could have affected the quality of evidence gathered at the time of the killings would be relevant to the inquest. Kevin Cullen writing in the Boston Globe earlier this month examined the issue of Boston College’s invitation to Taoiseach Enda Kenny to speak at their commencement. Because Boston College is a Catholic University, some people were upset at the invitation given the recent abortion debate going on in Ireland and Enda Kenny’s refusal to automatically bow down to demands of clerics. Previously, Kenny had given a landmark speech about the Church and its shameful handling of child abuse; it was much needed, and reflective of the changes in Ireland. For whatever else one may think about Kenny’s leadership, he has been very strong in publicly distancing the State from the Church — much to the Church’s chagrin. Leaving the issues of abortion, Ireland and the Catholic Church aside, our personal circumstances means I tend to see everything through the lens of the Belfast Project subpoena. So given that, I couldn’t help but wonder, while Boston College was inviting the Taoiseach to come speak at their commencement and making all the necessary arrangements, what were they doing with their obvious political contacts, networks, and strength in regards to the subpoena case? I remain hopeful that behind the scenes they have been using their contacts effectively to protect the oral history records — and that the fact that they can and are hosting the leader of Ireland shows they are protecting their research against the British desire to use them politically — but, given my experience, it is admittedly hard not to see it as anything other than a cynical attempt at damage control and protecting their reputation in Ireland over how badly they have behaved in our case. From the start of the issuance of the subpoenas, Boston College was more interested in scapegoating my husband and those involved in the project, and via their spokesperson Jack Dunn spent more time protecting the institution than they did their research and researchers. I would have much rather seen them publicly and loudly lobbying the likes Enda Kenny for protection of the archives and feel had they taken such a course perhaps things would be turning out differently. Twitter drew my attention to this article yesterday, about Attorney General Eric Holder’s “remorse” for the Department of Justice’s going after the press as criminals, in relation to the recent Associated Press and James Rosen cases. I will reserve my full thoughts about that, suffice to say I imagine the remorse has more to do with the exposure of the extent of the DoJ’s activities than the actions themselves. Having spent the last two years dealing with a case pursued by Holder’s DoJ and being involved in a suit against Holder because of it, it is readily apparent the recent AP and Rosen cases belong to a larger pattern of abuse of freedom of the press by the DoJ, of which the Boston College subpoena case is very much included. I hope that the BC case is not overlooked, because it raises the same important issues and questions that the AP, Rosen, and Aaron Swartz cases do. Like them, the subpoenaing of the Belfast Project archives is a 1st Amendment issue, and a 4th Amendment issue. The added dimension is the MLAT request: Holder’s DoJ is not only willing to trample on the 1st and 4th Amendments for internal political reasons, but is also doing so at the behest of foreign governments who are pursuing their own political agendas contrary to established American foreign policy. 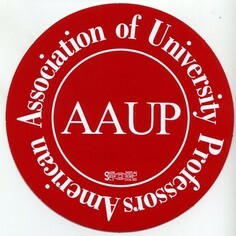 I urge reporters following the AP, Rosen, and Swartz cases, as well as concerned citizens, please, don’t let the Boston College subpoena case get lost — ask the Obama administration what they are going to do about it, and will it be included in the ‘review’ taking place by Holder; ask the administration and the DoJ how that MLAT subpoena action ‘strikes a balance between law enforcement and freedom of the press’, particularly when the law enforcement is a political investigation involving a foreign government. It is not too late to stop the handover of confidential archival material. Help by raising voices to ask the US Government the questions the DoJ should have asked when the MLAT request landed on its desk. Ask the Irish Government why it is happy to have the British Government ride roughshod over its jurisdiction in pursuing cases that the Good Friday Agreement had placed in the past. And ask the British Government exactly what it is looking to achieve given the constrained circumstances the GFA places on them — ask them if they lied to the US Government in making the MLAT request, or what, if any, significant information they failed to impart. Three other news stories caught my eye recently, in relation to the Boston College case and the status of the peace process with regard to the past. I have said to many people over the last couple years while lobbying on the case that without any agreed approach in place to dealing with the past, we will never have “conflict resolution” — what we have will only ever be a “conflict cessation”, and with that comes the implication that it will resume again at some point in the future. The logical and natural end point of a “peace process” should be to lay the past to rest. Whether that is something that can ever be possible is up for debate, but it will never be achieved in the manner the current peace-processors are going about things. The Boston College case is an example of how the past, and the drift in the peace process, has the potential to unravel the future. Last week, the man who will most likely be making the decisions on whether to use the Belfast Project archives to pursue prosecutions or not, Director of Public Prosecutions Barra McGrory, expressed his reservations about the benefits of prosecuting the past, indicating he understands all too well the problems that the subpoena case brings to the political landscape. Meanwhile, the PSNI themselves cannot be accused of not being sensitive to that kind of problem — at least going by the BBC report by Vincent Kearney which exposed the Public Records Office of Northern Ireland’s withholding of public records. The PRONI claimed they did so at the behest of the PSNI’s Historical Enquires Team; an HET spokesman issued a denial of this to the BBC. In a letter explaining the decision, PRONI said the decision had been taken after reviewing the files, and information it received as part of a consultation with the Historical Enquiries Team.The letter said it would “not be in the public interest to release any information at this stage” and that providing access to the documents “would be likely to prejudice the detection of crime, the apprehension or prosecution of offenders, and the administration of justice”. PRONI argued that it would not be in the public interest to release information held in witness statements contained in the file “that may still be of assistance to the PSNI (Police Service of Northern Ireland) or HET”. All of this was a result of a solicitor making a Freedom of Information request on behalf of families of men killed by loyalists who are seeking a new inquest into their deaths. While the HET/PSNI are going to America to attempt to access privately held confidential archives, they are sitting in Belfast blocking access to public records. Talk about having it both ways! Some historical prosecutions and inquests are good, while others are very, very bad. I will leave it to the reader to determine which is which. Almost as if to help assist in making that determination, or at least underline which prosecutions the British State believes are good ones, hot on the heels of Barra McGrory’s handwringing about the inability of the peace-processing politicians to deal with the past, John Downey was arrested in London, accused of being involved in the 1982 Hyde Park IRA bombing. Gerry Adams, in calling for Downey’s release, describes him as “a valued member of Sinn Féin and a long-time advocate of the Peace Process”. Downey’s arrest and subsequent trial must be seen as a shot across the bows of Sinn Fein, and Adams would be a fool, given the Boston College subpoenas, not to feel something akin to “There but for the Grace of God go I,” while issuing his statements. God being, of course, whichever ‘nameless, faceless securocrat’ is currently calling these shots. Who exactly is it that is calling the shots now? In the case of the Boston College subpoenas, while the investigation may have been initiated and pursued by the PSNI’s HET and Serious Crime units, it is assumed that the MLAT request would have had to go through the Home Office. This could explain, unless for some reason Owen Paterson was being economical with the truth, why the NIO was reportedly caught unawares by the whole thing — they were not consulted beforehand as it never went through their channel. All of this is speculation, of course — the subpoena is sealed, and we don’t have the answers to who decided what. But the questions remain. As they do in the case of John Downey. Who has oversight for the Hyde Park investigation? Is it an HET or PSNI Serious Crime case? Or is it strictly a London Metropolitan Police operation? If so, how many other historical cases involving the IRA are currently on the go, or in the pipeline? Who authorized them, and why? If this does not fall under the PSNI umbrella, who does have oversight? At any rate, it looks like Barra McGrory won’t have to make any decisions on whether a prosecution of John Downey is in the public interest or not, as any trial that does go forward won’t be taking place in Belfast. Perhaps the peace processors have found an agreed-upon way to deal with the past: to use it to further their agendas in the present, and damn the consequences to the little people they purport to represent. Like the rest of the peace process to date, will it be the processors alone who reap the most benefits of such dealings? That I will leave for the reader to decide. From the outset of the affair over the Boston College archives one aspect of the business has puzzled me and that was the apparent failure or refusal of the Obama Department of Justice (DoJ) to realise that the PSNI subpoeanas had the potential to cause big problems for one of the US’ few positive foreign policy successes in recent years (as opposed to negative successes like winning a war in Iraq at the cost of alienating and angering half the world). It is, I would submit, undeniable that the peace process in Ireland and the Good Friday Agreement that it produced were in large measure the result of direct US involvement in Northern Ireland, firstly by the Clinton White House which broke the ice by giving Gerry Adams a visa to visit New York and then by the Bush administration, whose ambassador to the process, Mitchel Reiss arguably forced Adams and the Provos to complete IRA decommissioning, thus paving the way for the power-sharing, DUP-Sinn Fein government that currently sits at Stormont. Without these efforts it is very questionable that the process could have succeeded. So why was the Obama DoJ, the Attorney-General, Eric Holder and the US Attorney’s office in Massachusetts so uncritically bent on going down a road that a few moments of due diligence would have revealed was littered with political tank traps that could quite readily destroy or seriously harm a project that American diplomats and politician were justifiably proud of, a project that set a positive example elsewhere in the troubled world that America polices? After all we have all known since at least 2002 that any serious probe of the disappearance of Jean McConville would lead back to Gerry Adams, the principal architect and instigator of the IRA’s journey out of war but also the man, according to Brendan Hughes, who gave the order to disappear the alleged British Army spy. A threat to Adams, the Kim Il Sung of the Provos, is by extension a threat to the process. And to those who would say that the British would never countenance such a move I ask: well then why have they persisted with the subpoenas? And it has also been evident since 2010 that if the British finally do shrink from prosecuting Adams, which is of course very possible, then there are others in the wings all too ready to take on the task. One of those is ex-Chief Superintendent Norman Baxter, the PSNI’s former liaison with those nice fellows in MI5, who publicly called for Adams’ prosecution for war crimes in 2010 and failing that endorsed Helen McKendry’s threat to sue Adams in a civil court for her mother’s murder and secret burial. Indeed there are reasons to suspect Baxter’s hidden hand at work somewhere in this whole business and that a civil action was always the real if hidden goal of the action. He was the senior detective in the failed Omagh bomb trials which ended when the families, frustrated at the failure of criminal prosecutions, successfully took a civil case against the chief suspects. Is it beyond the bounds of credence that this subpoena effort had its genesis in his Omagh experience and the knowledge that if criminal proceedings fail or never materialise there is the alternative of a civil action against Adams, a person whom Baxter makes no secret of loathing? Baxter knows that in a civil case the standard of proof is much less rigorous than for criminal trials: ‘on the balance of probabilities’ as opposed to ‘beyond all reasonable doubt’, a very telling advantage in a case that would be reliant almost entirely on peoples’ ancient recollections. And he knows that in all the important ways, for instance evidence would be presented in court by police witnesses, the proceedings would differ from a criminal prosecution only in the punishment available to the court. And if you don’t believe that, go ask O J Simpson. Assuming the DoJ did its due diligence – and I am not assuming that it did – all this would have been quickly apparent to Eric Holder’s people but notwithstanding the risk that Obama’s White House could be remembered, at least in Ireland, for undoing all the good that Clinton and Bush did, it perservered. And not just perservered but pursued the case relentlessly even when opportunities to retire gracefully presented themselves (as with the death of Dolours Price). One possible explanation of why the Obama administration has acted so evidently against US’ foreign policy interests by pursuing the BC tapes has emerged in the last fortnight or so with the chilling stories of the DoJ’s pursuit of the American news media for doing its job, i.e. unearthing government secrets and telling the public. First there was the revelation that the DoJ had secretly acquired the work, home and cell phone records of some twenty journalists at the Associated Press in an effort to trace the leaker of a story that the government was planning to make public anyway, that it had, with the help of an agent, sabotaged a plot by Al Qaeda in Yemen to bomb a US-bound aircraft. Then in the last day or so we have learned that in 2010 the same DoJ used a search warrant to acquire the email and phone records of a Fox News reporter, James Rosen in pursuit of a leaker who told him….now hold your breath….that North Korea might respond to new UN sanctions with more nuclear tests. Now even I, whose knowledge of North Korea is confined to writing stories about some dodgy bank notes that circulated in Ireland a while back by people not a mile away from the current leadership of the Irish Labour Party, could have written that story but nonetheless the brave folk in DoJ pursued Mr Rosen undaunted. The worst aspect of the story however is that in order, it seems, to avoid a court challenge to the search warrant the DoJ accused Rosen of being a co-conspirator of the leaker and had aided and abetted the alleged breach of security. What Rosen did is what every journalist does, or, if they have any sense of self-worth, what they should do, which is to encourage holders of secrets to let them go. 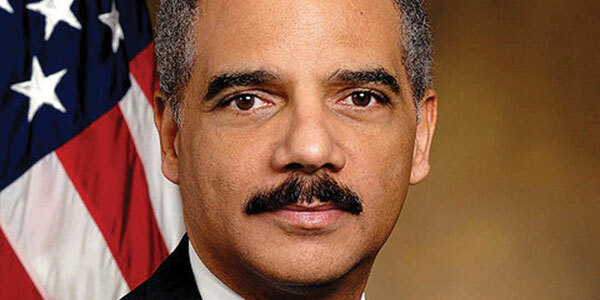 The Obama DoJ’s action effectively threatens to criminalise the media in an unprecedented way. Obama had already, pre-Rosen, chalked up the worst record since Richard Nixon of pursuing journalists who had gotten hold of government secrets and leakers who provided them. But arguably Obama is worse. With Nixon you got what you expected and at least in his case he was fighting for his own survival. Obama, he of “Change We Can Believe In” and “Yes, We can”, was supposed to be different but now the hypocrisy (or is it cowardice, as in the act of a Black President seeking to assure the White establishment of his trustworthiness?) is breaking through, becoming visible even to his most zealous supporters. The action against Rosen unquestionably pushes Obama ahead of Nixon in the creepy president stakes but it also sets the stage in a very convenient way for the prosecution of Wikileaks founder Julian Assange, if or when he is extradited from Sweden, via the UK, to the US. Assuming Bradley Manning is convicted of the spying charges he faces then Assange could, like Rosen, be accused of aiding and abetting Manning’s treachery. That compelling case is outlined here. Which brings me back to the Boston College case. I am not arguing that it is on the same level as Wikileaks or the AP and Rosen cases but it does strike me that a DoJ in hot pursuit of Wikileaks, that is determined to bring Assange to his knees and, with threats and intimidation, to plug for evermore leaks from government – and in the process is ready to alienate what is normally a tame, well-behaved media and outrage both left and right – is more likely than not to take a very uncompromising line in any legal action it is involved in which undermines the ability of non-government agencies, like Boston College, to claim the right of confidentiality. Even more so if the foreign government behind the action is one the US is dependent on to send Assange to Sweden and thus to a federal court. And if all that implies a willingness to do damage to something like the Irish peace process then so be it. As the man said “Yes, We Can”. Political uncertainty over dealing with Northern Ireland’s troubled past needs to be addressed, the Director of Public Prosecutions (DPP) has said. With more than 3,500 deaths and countless more injured during the conflict, politicians should decide whether to attempt to prosecute historic cases or to forego investigations to “embed” the peace process, Barra McGrory QC added. He highlighted difficulties including impaired memories, dead witnesses or perpetrators and limitations using modern evidence-gathering methods like DNA and said his Public Prosecution Service (PPS) would need to be properly resourced for any large scale investigation. But he said he would continue to prosecute where the evidence existed to deliver true justice. “Perhaps the time has come when our society should reflect on how we are going to address these issues because we appear to be drifting along at the moment in a sort of vacuum of some uncertainty,” he told a transitional justice conference in Belfast. Sinn Fein has called for a truth and reconciliation commission to consider the fall out from Northern Ireland’s 30 years of violence and wants the state to participate after its forces were responsible for some deaths. Senior MLA Mitchel McLaughlin recently proposed separating truth from reconciliation until that is done. Democratic Unionists believe victims should not be denied the right to justice. Mr McGrory said if the prosecution service was going to be expected to deliver prosecutions then it needs to be properly resourced. “I think society has got to make a choice. Either it decides now to go down the route, the very difficult route, of determining that we are going to forego the investigation and prosecution of the past in favour of embedding the political institutions or the peace process, or between that and deciding whether or not the peace process is best served by continuing to prosecute the past,” he added. The Police Service of Northern Ireland has confirmed it is seeking details of the testimony given to an oral history project at Boston College by the late Dolours Price. The republican, who died in January, was one of those who gave evidence to the project on condition it would not be released until after her death. The PSNI had sought disclosure of the transcripts of her interview as part of its investigation into the disappearance and murder of Jane McConville, a mother of 10, in 1972. The Belfast Project was designed to provide researchers and academics with insights into the Troubles. The disclosure issue went as far as the US supreme court which decided last month not to hear an appeal against making the transcripts available to the PSNI, thus removing a significant legal impediment. It is understood that while the process will take some time, the PSNI is confident it will obtain the transcripts. Just before going to press (15 April 2013) the US Supreme Court declined to hear an appeal to overturn an earlier high court ruling to hand over transcripts recorded with convicted IRA bomber Dolours Price as part of Boston College’s ‘Belfast Project’. Ruan O’Donnell reports on the implications, both for scholarly research on the ‘Troubles’ and for the Peace Process itself. The dramatic news that transcripts of controversial recordings are to be handed over to the PSNI in Northern Ireland has sent shockwaves through American academia. Although it was never certain if researchers had the authority to guarantee total confidentiality or binding terms of information disclosure, the prising open of a closed archive with a view to aiding the prosecution of persons in another jurisdiction was inconceivable. Best practice for all serious interviewers has now been voided. Historians of the recent past must now ponder on how to ensure that their work does not extend to collusion. This is the current legacy of the Boston Colleges tapes imbroglio, albeit an outcome that had not been foreseen by anyone involved. The sudden death of Dolours Price in Malahide, Dublin, on 23 January 2013 had refocused international attention on the then unresolved ‘Boston College tapes’ controversy. Price had indicated in 2010 that a deposition she had contributed to the American college’s ‘Belfast Project’ may have contained material pertinent to PSNI investigations into several IRA killings in the early 1970s. It was inferred that this first hand perspective extended to the December 1972 IRA shooting and disappearance of Jean McConville in which Price had admitted a role. 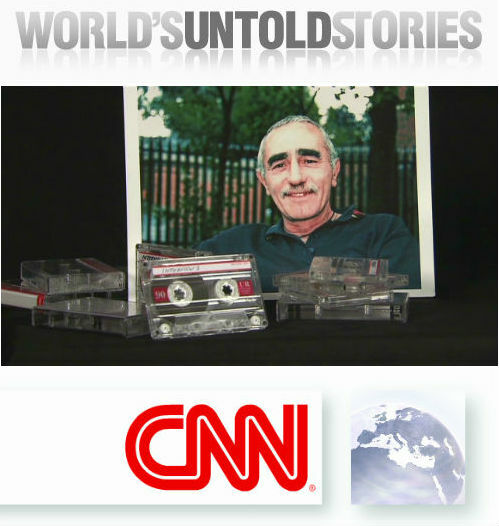 The incident had featured in Ed Moloney’s Voices from the grave book in March 2010 and in an RTÉ documentary of the same name broadcast in October 2010. Moloney cited interviews with former Belfast IRA commander Brendan Hughes, one of a number collected between 2001 and 2006 when Anthony McIntyre was the lead researcher. The Hughes transcript had been sealed prior to his death in February 2008 as per an agreement with the John J. Burns Library of Boston College, custodians of the formerly secret archive. In February 2010 Price, who had been active in the IRA when Hughes was a senior member, corroborated aspects of what he had imparted. Her primary interest was then in a different ‘disappeared’ incident concerning Joe Lynskey who was also shot and buried in an unmarked location by the IRA. Price pursued the matter with the Independent Commission for the Location of Victims’ Remains (ICLVR) and in the course of an Irish News interview volunteered that she had participated in the ‘Belfast Project’. It was widely and evidently wrongly speculated that this included information on the fate of Jean McConville. Special provision was made in Irish and British law in 1999 to effectively immunise persons assisting the ICLVR from prosecution. However, there is neither a statute of limitations nor general amnesty to indemnify those formerly engaged in political violence in Ireland. The possibility of incriminating Burns Library recordings being produced in a Belfast court could not be discounted. This scenario became far more likely on 5 May 2011 when a federal subpoena was delivered to the Burns Library demanding surrender of certain interviews. The novel utilisation of the Mutual Legal Assistance Treaty (2003) by the US attorney for Massachusetts enabled his office to act in place of the United Kingdom. In a further twist to a complicated test case with potentially great bearing on academic freedom in December 2012 a Federal Court of Appeals imposed a ‘stay’ on the surrender of the material, a stay now lifted with the recent Supreme Court decision. Although successful, the PSNI seem destined for disappointment vis-a-vis what has been surrendered in Massachusetts. On 27 February 2013 Moloney informed the Society of American Archivists that Price had ‘never mentioned McConville in her B[oston] C[ollege] interview’ and that he had previously attested to this most salient detail in ‘a court affidavit’. Notwithstanding long-term bouts of serious ill-health, the death of Price aged sixty-one was decidedly premature and attributed by many to the privations she had suffered when imprisoned in Brixton, Durham and Armagh. As one of the nine ‘Belfast Ten’ prisoners convicted in 1974 for IRA bombings in London, she and sister Marian endured a gruelling hunger strike of over 200 days in Brixton Prison, which was prolonged by force-feeding. Other co-defendants fasted to the brink of death, including Gerry Kelly and Hugh Feeney. Mayoman Michael Gaughan, jailed for other IRA offences in England, was force-fed to death in Parkhurst in June 1974 opening the way for a compact which resulted in the repatriation of the sisters to Armagh Goal in March 1975. Kelly and Feeney followed to Long Kesh, although the strategic value of retaining IRA prisoners in England then halted the flow until the Peace Process transformed the ‘Long War’. The fatal hungerstrike of Frank Stagg in Wakefield in February 1976 failed to advance the timetable. The sisters separately received the Royal Prerogative of Mercy in 1980-1981 arising from their struggles with anorexia nervosa and related illnesses. Dolours Price was transferred from Armagh to a Belfast hospital and released on 22 April 1981. She suffered from post-traumatic stress disorder, a debilitating and common affliction in modern war zones. Price retreated from public view until the 1990s when she was critical of compromises made by the Republican Movement as it negotiated the Peace Process. While her marriage to actor and cultural activist Stephen Rea prompted occasional intrusive press commentary, it was Marian Price who tended to attract greater and more negative media attention from the late 1990s due to her involvement with the 32 County Sovereignty Movement, a legal body which supported the political objectives of the proscribed Real IRA. Marian Price was jailed for alleged offences committed at the April 2011 Easter commemoration in Derry during which a masked Real IRA member delivered an address. Other serious charges then emerged after her remanding to Maghaberry Prison. This triggered a health relapse and her eventual relocation following public outcry to Hydebank Prison. She has since been moved to secure confinement in Belfast City Hospital. At the time of her death, Dolours Price was deeply engaged in a broad-based public campaign to free her sister who was too ill to attend most of the funeral arrangements. Gerry Adams and Martin McGuinness are among the Sinn Féin leaders who have renewed calls for her emancipation. 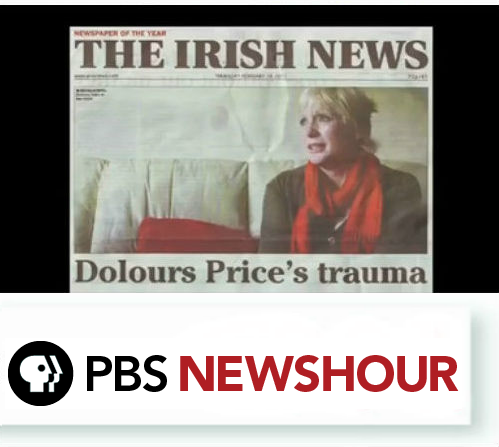 News of the demise of Dolours Price revived the Boston College tapes story as it was assumed that parts of her deposition would become public, as had occurred with the oral history legacy of Brendan Hughes and David Ervine. Moloney clarified that the death of interviewees would not trigger an automatic release of files. It was claimed that Hughes had made a specific request for his account to be publicised within a short period of his death, aspects of which surprised former republican associates in 2010. The Burns Library, however, retains the exclusive right to publish accounts of deceased donors and may do so unilaterally at any time. The particular files requested by the PSNI remained in limbo until the US Supreme Court’s decision on 15 April 2013, a decision that will now significantly determine the parameters of future ‘Troubles’ history in Ireland. What is now a major crisis for research ethics is also a major test of British commitment to preserving the pragmatic spirit of the Peace Process. Current policing in the North would seem to be intelligence-led, courtesy of MI5, MI6 and the Special Branch. As such, it would not only be untoward but threatening to the status quo if archival material was actually used to prosecute persons at the helm of the ongoing and still challenging process of Anglo-Irish raproachment. Prime Minister Cameron retains his interest in Ireland according to Northern Ireland Secretary Theresa Villiers in a recent statement. This must now be urgently demonstrated. Meanwhile, historians on both sides of the Atlantic must reflect on the integrity of their profession and the means necessary to prevail in a newly dark time. 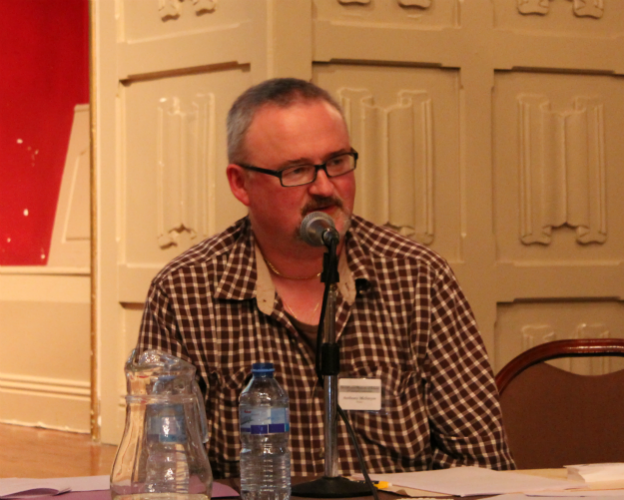 Ruan O’Donnell is a Senior Lecturer in the Department of History, University of Limerick. His most recent book is Special Category, The IRA in English prisons, 1968-1978 (Irish Academic Press, (Dublin, 2012). The authorities in the North have failed to deal with the legacy of the past, human rights campaigners claimed. Amnesty International said it would be raising the concerns when it gives evidence to the United Nation’s committee against torture in Geneva this week. The organisation claimed existing mechanisms such as the Historical Enquiries Team (HET), the Police Ombudsman and ongoing legacy inquests had proved inadequate in securing accountability for alleged past human rights violations and abuses. “The piecemeal nature of existing mechanisms and their narrow remits means that they are simply not able to secure full accountability for past human rights abuses. “We are bringing our concerns to the attention of the United Nations in the hope that the international community will urge the UK authorities to ensure a new approach is found to address the outstanding abuses of Northern Ireland’s past,” said Patrick Corrigan, Amnesty’s Northern Ireland programme director. Part of the committee’s remit is the investigation into deaths by lethal force that occurred during the Northern Ireland’s 40-year conflict. UK government representatives will be quizzed by the UN scrutiny committee on Tuesday. Mr Corrigan said the HET and Police Ombudsman were delivering for some families, but were failing to deliver fully independent, effective, prompt and thorough investigations for others. “A new, comprehensive process is crucial to ensure accountability for those abuses, not just to help individual victims and their families, but to help society as a whole to build a shared future on firm foundations,” he added. As part of its research Amnesty said it had spoken to victims and their families over the past 12 months. The organisation said it would publish the findings before the end of the year.